I was at the Theatre Royal in Winchester last week to see a production of Medusa. Brought to the stage by one of the world’s leading female choreographers, Jasmin Vardimon presents her new work, which reflects on the powerful feminine symbol of Medusa, the myth and its various connotations in our contemporary life. This epic production examines the gendered historical significance of the Greek myth, the symbolism and the philosophical idea of ‘reflection’. Created on the coast of Barcelona and inspired by its marine life, the show not only deconstructs the myth but also explores Medusa’s aquatic symbolism in the environmental future of our seas. Celebrating 20 years of her company, Vardimon brings together a remarkable international cast with the artistic team behind her previous creations for the piece. After the performance audience members will be able to share in a post-show chat with the performers. Down through the ages, there have always been myths about immortality, that godlike ability to live forever. Well, sometimes myths can have a nugget of truth. Indeed, it was our scientists—more specifically, the marine biologists—who found a creature that comes closest to immortality: a tiny transparent jellyfish. The aquatic theme also connected to the awful plastic pollution of the seas and this was reflected in some of the scenes where imaginative use of sheets of plastic were used (as can be seen in the video clip above). It was interesting to see this amalgam of scientific and literary themes. This would not have come out, at least easily, were it not for the post-show discussion. Hopefully they have more of these in the future. 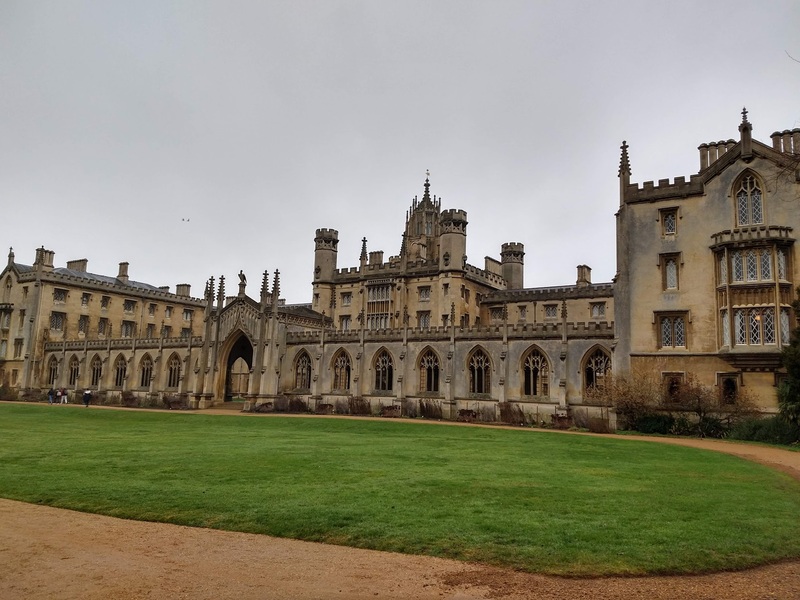 I recently paid a visit to St John’s College at Cambridge (see above). One evening we had dinner in the impressive Great Hall. Afterwards I took at the look at the portraits on the walls of past Fellows. 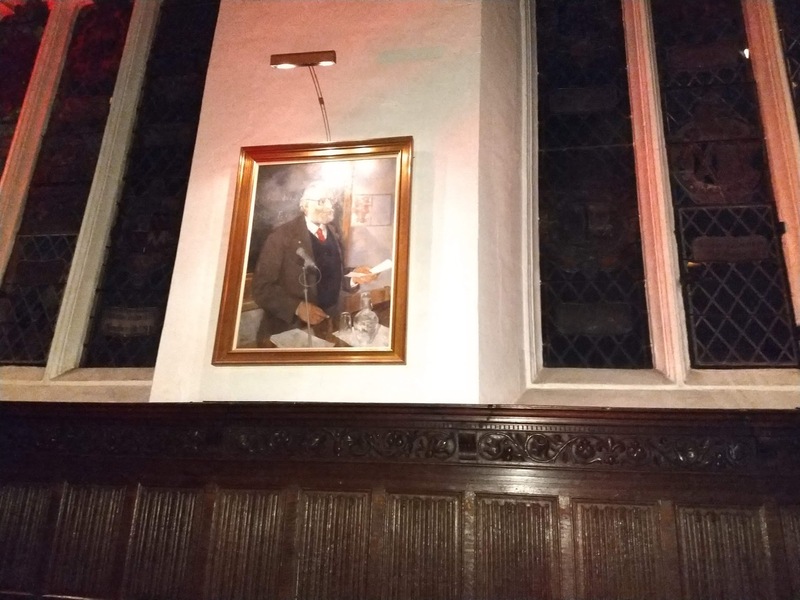 I knew that Paul Dirac (one of the world’s greatest theoretical physicists) was a Fellow but I was quite surprised to see a portait of Abdus Salam as well who I didn’t know was a Fellow. Abdus Salam was awarded the Nobel Prize for Physics in 1979 along with Steven Weinberg and Sheldon Glashow. 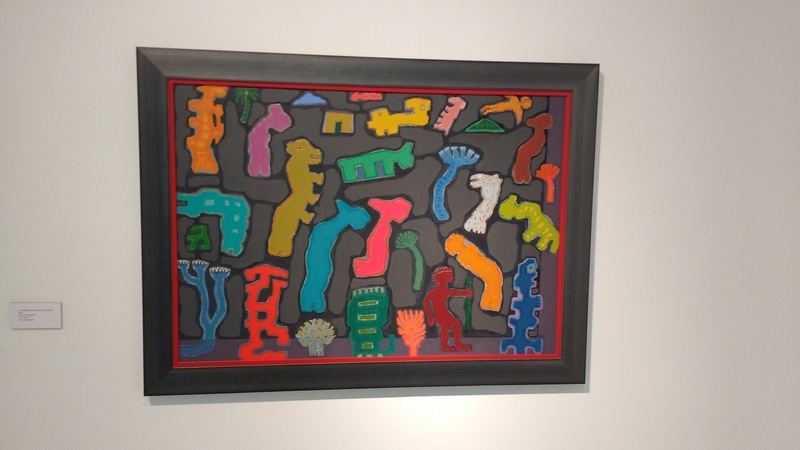 I’ve given a story (see here) about a discussion I had with Salam (who was then a Professor at Imperial College London) that made me realise the skill and awareness needed to take unconventional career advice. 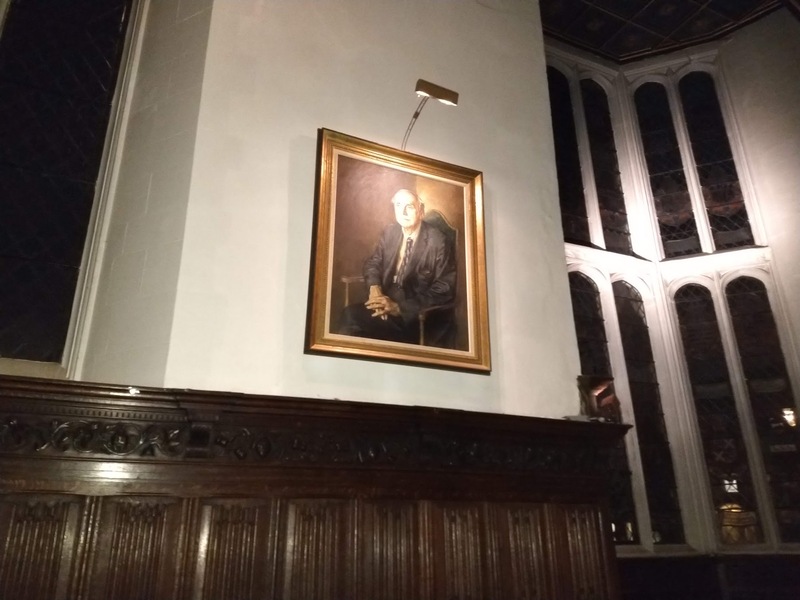 St John’s has impressively produced nine Nobel Laureates (five in Physics, two in Medicine, one in Chemistry and one in Economics, see here). Whilst visiting Winchester on the weekend, I called into the Discovery Centre (aka the old city library reimagined) for a look around. 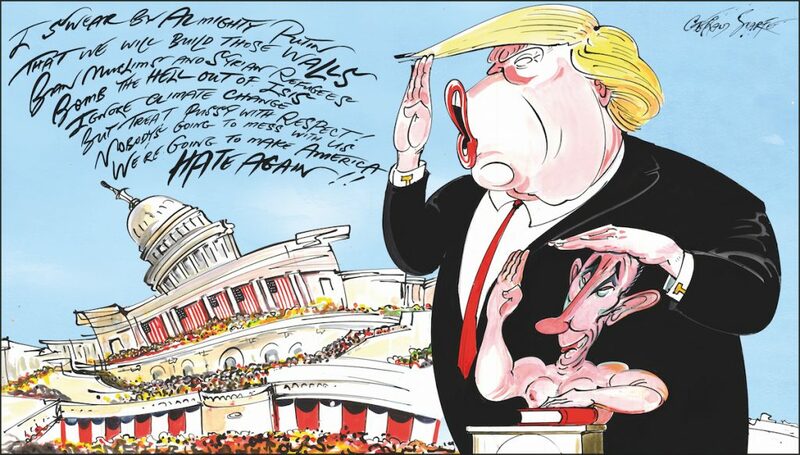 They had an exhibition of some of the works of Gerald Scarfe, who is mainly known as a political cartoonist (see below). 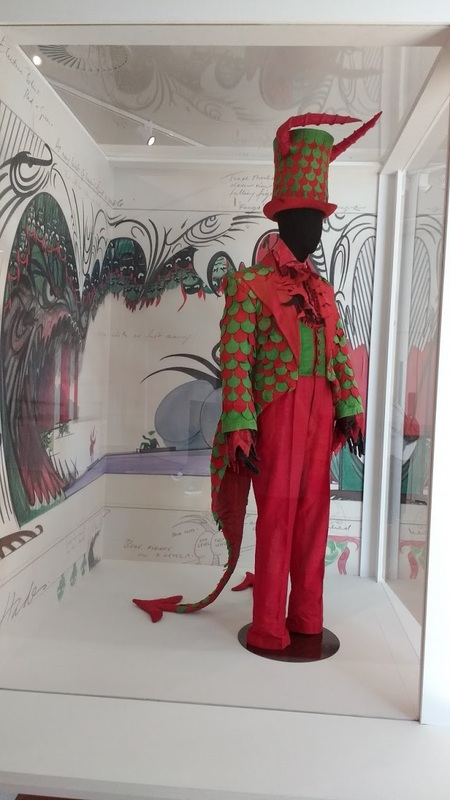 The aim of the exhibition was to show some of his wider achievements, covering film, opera and ballet (see the impressive example below). Looking at my blog, the last post was quite a while ago, about 3 months in fact. A lot has happened in between, however I’m now hoping to get back to writing on a more regular basis particularly as quite a few interesting topics have cropped up. 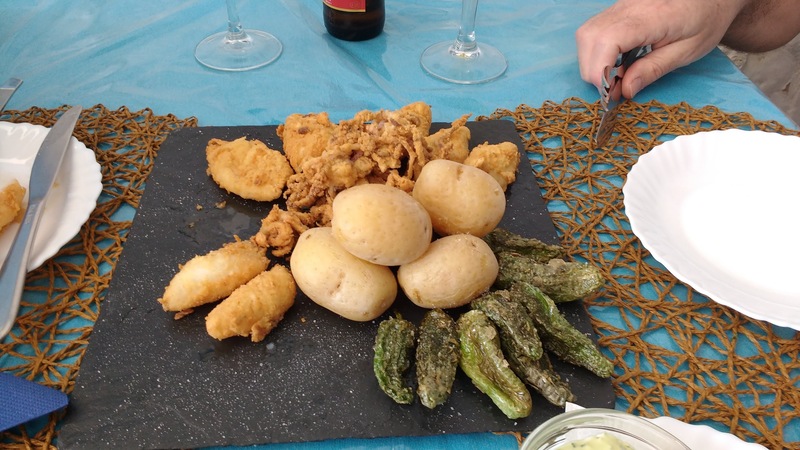 To start with, and something that conjures up pleasant memories, a 2 week trip to Spain in late Feb/March this year. 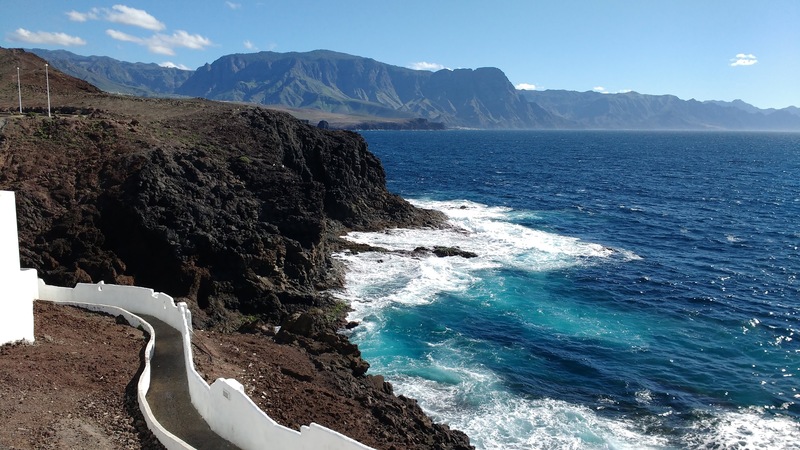 Southern Spain was chosen as it seemed to be the best bet for good weather and we decided on a twin centre trip (Cadiz and Gran Canaria). 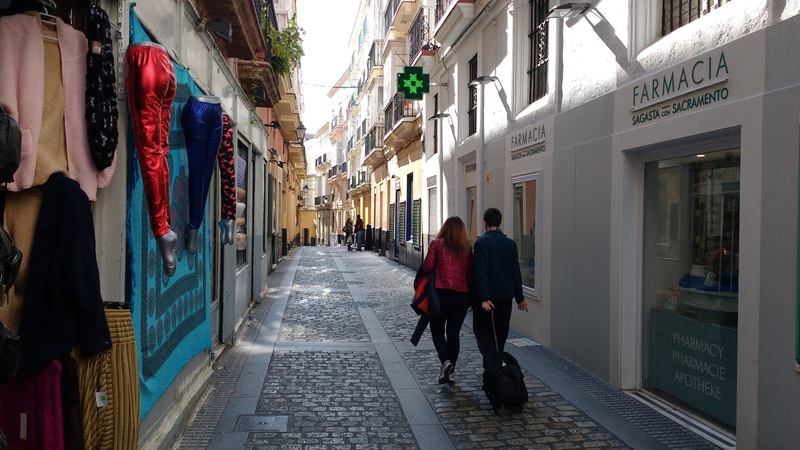 We flew from Bristol to Malaga and then drove along the coast to Cadiz which we assumed would be out of season and somewhat sleepy. The route we took meant that we arrved in Cadiz via the imposing La Pepa Bridge (see picture below). 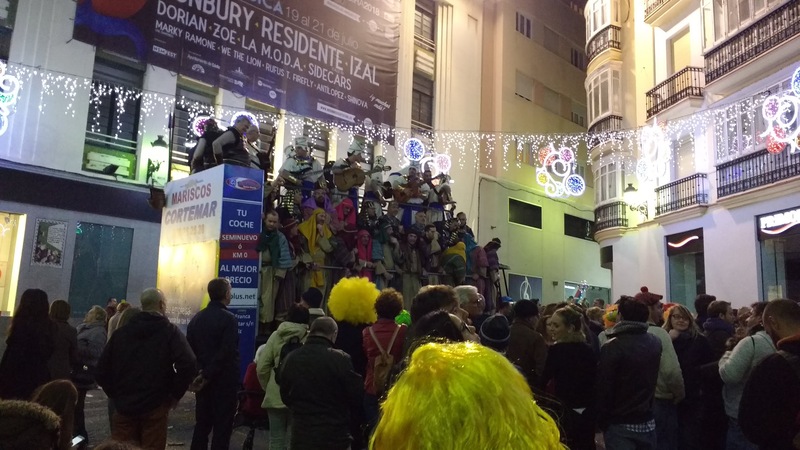 To our surprise it was actually the last day of Cadiz Carnival so the town was jam-packed (the decision of where and what to do was fairly last-minute so we had little time to research). 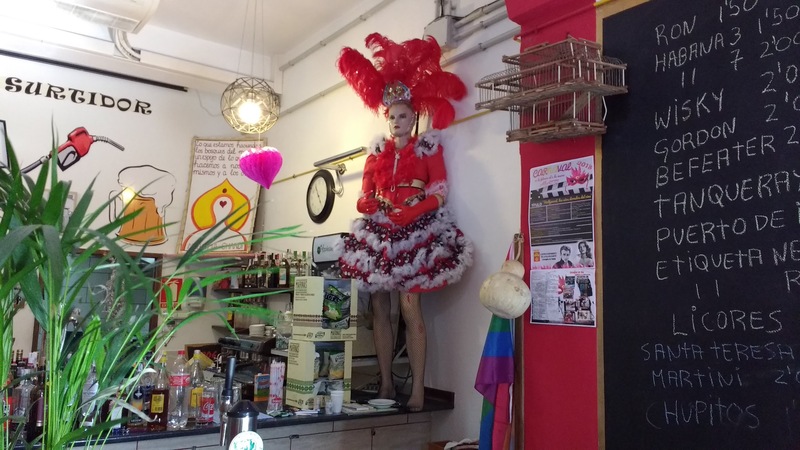 The only real drawback of the timing was that after the exuberance of the Carnival, most of the restaurants were closed in the evenings whilst we were there (to compensate for the long hours of the previous week). 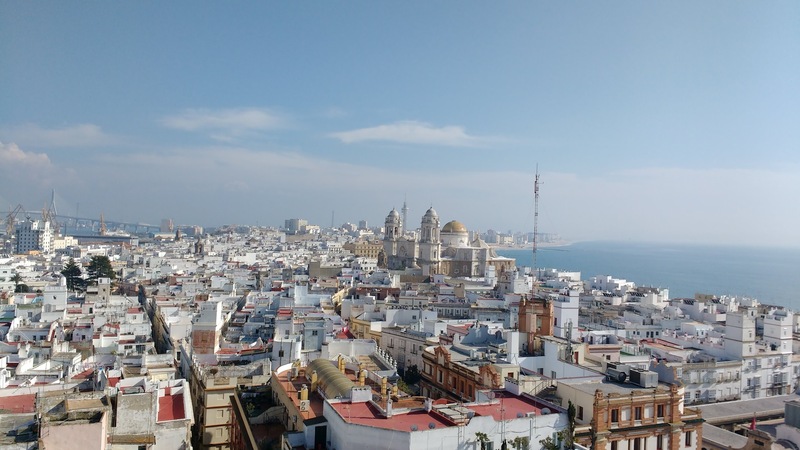 General impression of Cadiz: delightful city, great to wander around and quite varied. 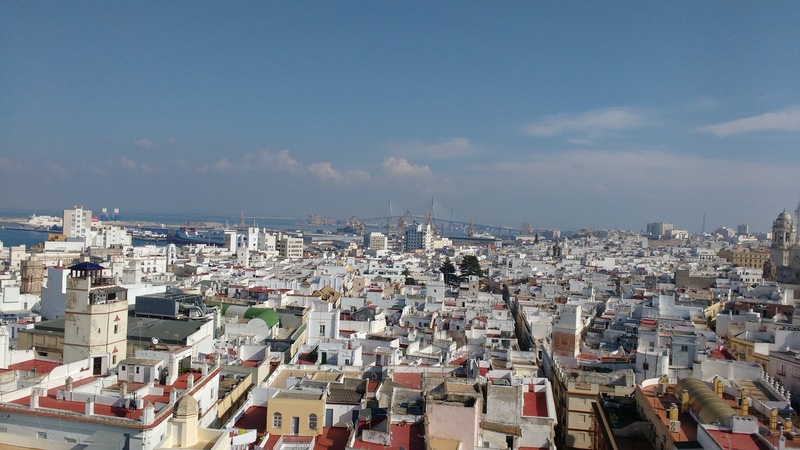 Good place to make some excursions, such as visiting Jerez de la Frontera, by car or train, which we unfortunately had no time for. 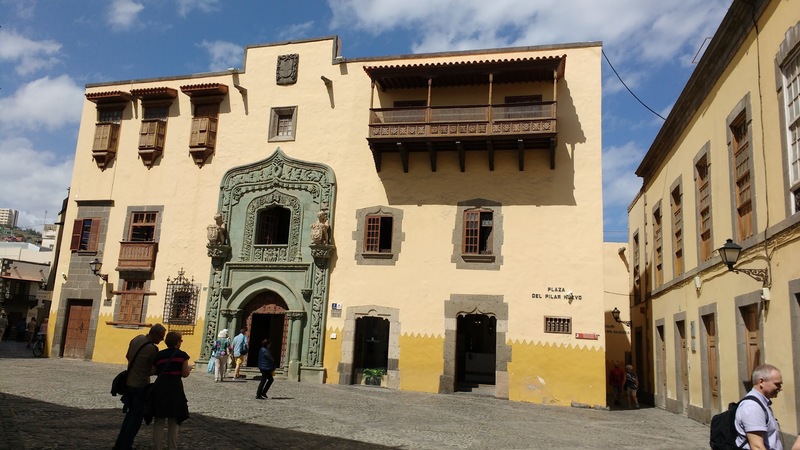 At the end of the stay we drove back to Malaga to get a flight to Las Palmas, the capital of Gran Canaria. 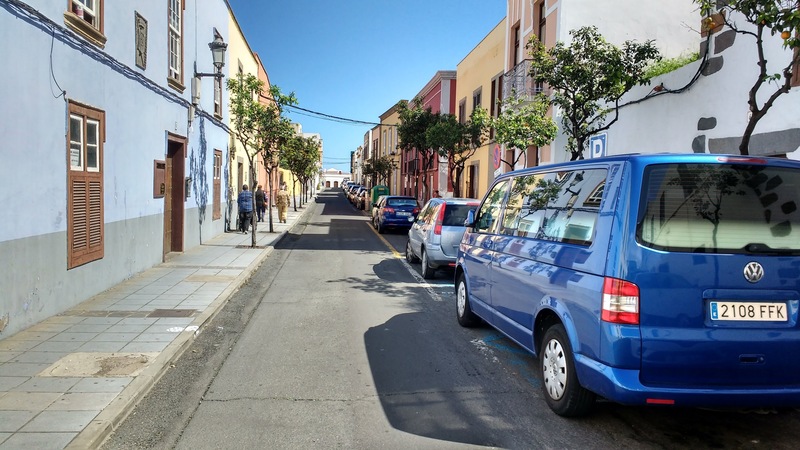 We started in Maspalomas in the south but the area wasn’t to our liking, being too crowded and touristy. 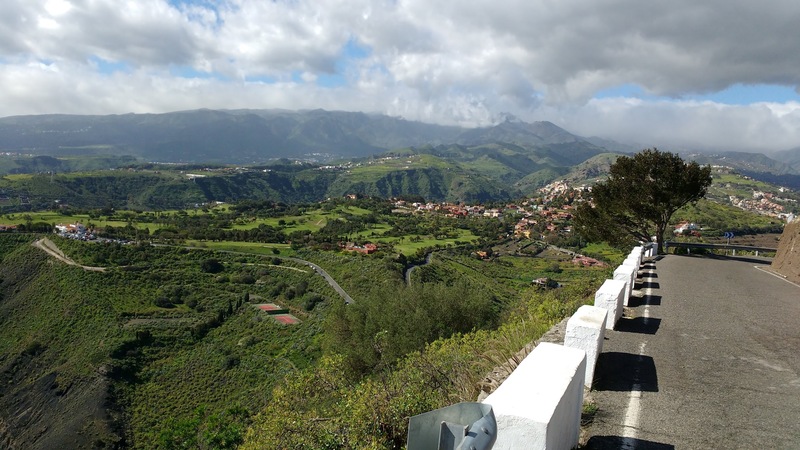 Leaving Maspalomas, we drove to the north west in the vicinity of Sardina. 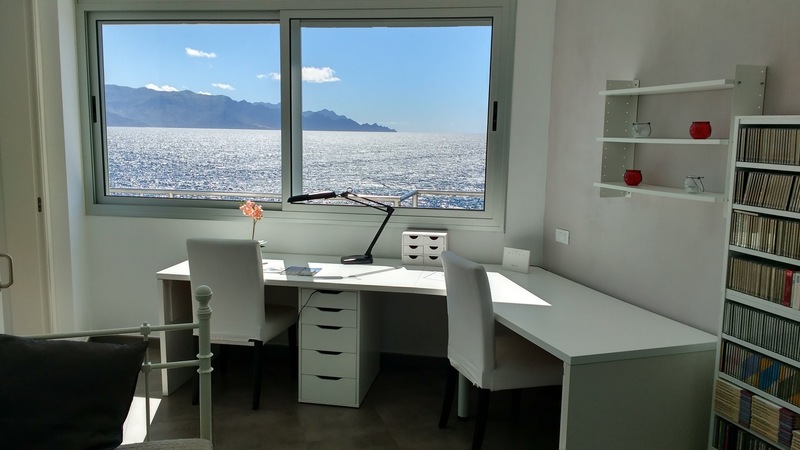 The apartment we’d booked was right on the coast with impressive views (see photos below). 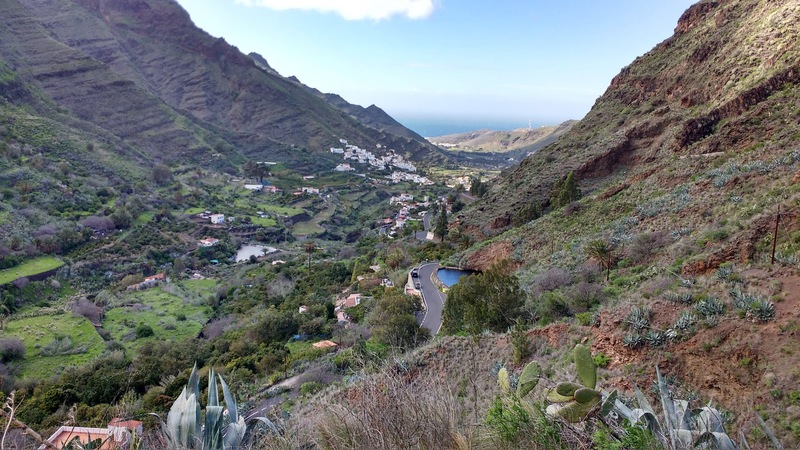 We took walks in the local area plus visited the nearby towns of Puerto de las Nieves, Agaete and Galdar. 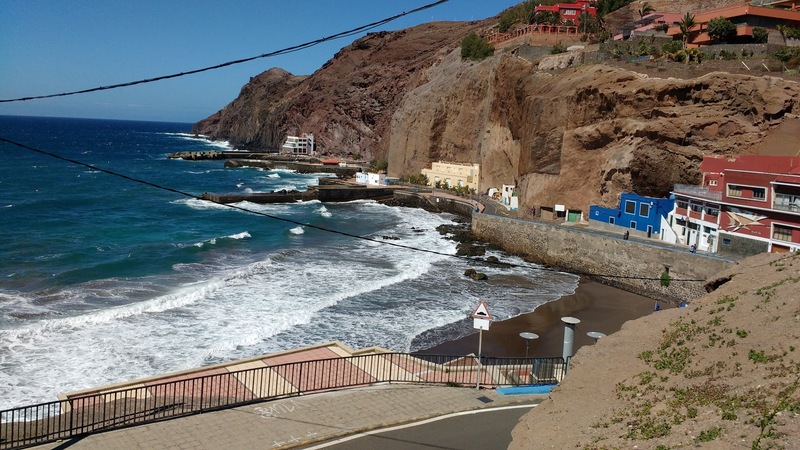 We had Storm Emma for a day or two, howling winds, spray everywhere and the sound of nearby crashing waves. 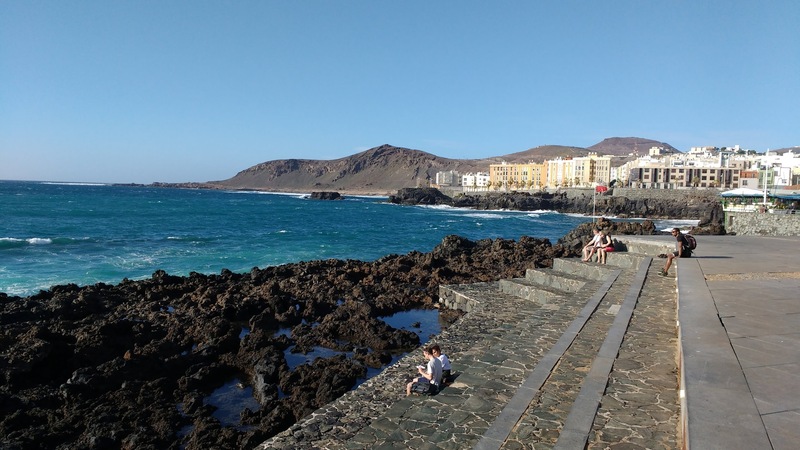 Moving to Las Palmas, we stayed just outside and explored the city centre plus surrounding inland areas. 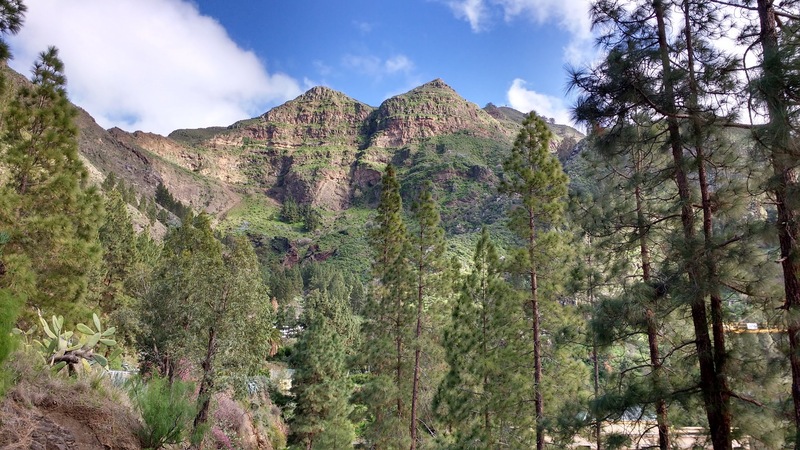 General impression of Gran Canaria: I really liked Gran Canaria when you were able escape the very busy touristy areas. 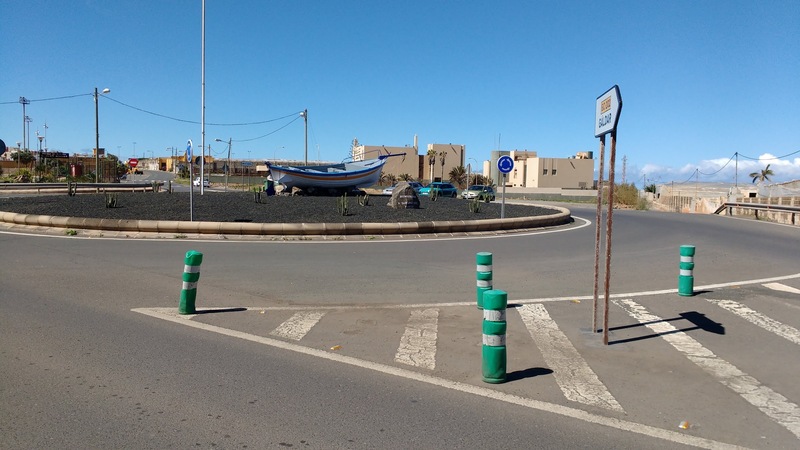 The bewildering road systems in the main towns, presumably due to rapid expansion, are not for the faint-hearted. Posted just because I liked it, such an impressive and unusual photo. 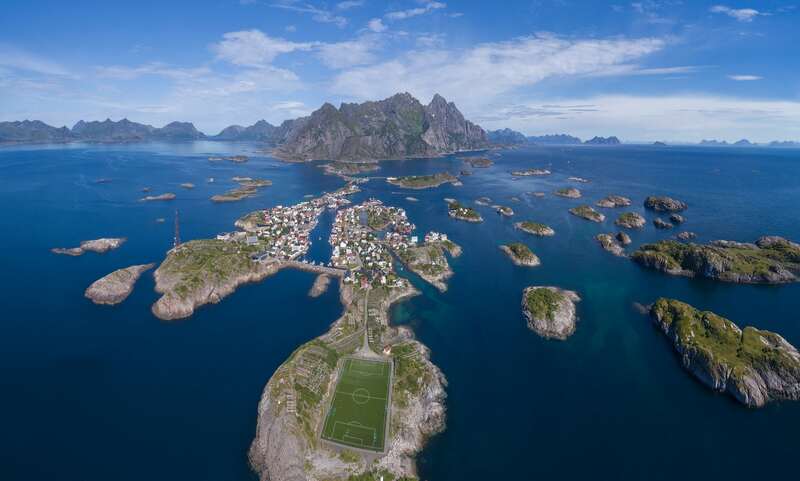 This is Henningsvær, population 460, although during September the number of people on this remote speck of land off north-west Norway will swell to 5,000 as artists and visitors arrive for the Lofoten International Art Festival (Liaf), Norway’s longest-running arts biennial. Drawings, video and installations, on the theme of “Taste the future”, are on show in three former fish processing plants. The village football pitch – one of the most spectacularly located in the world – will also be used as a backdrop for one performance. 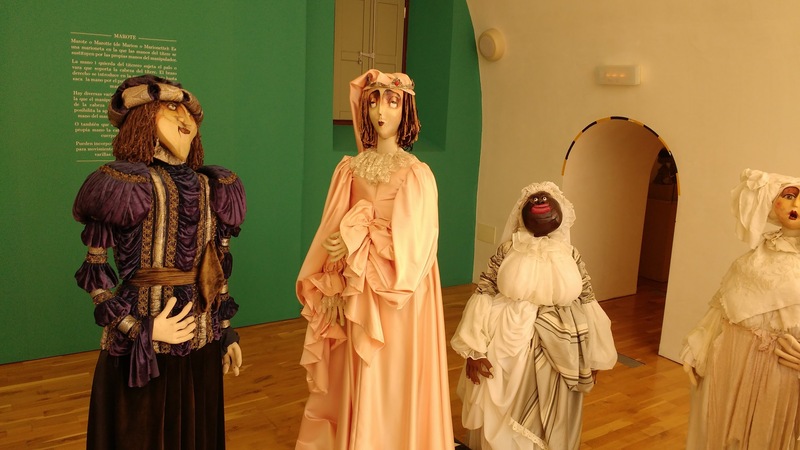 Liaf runs until 1 October. Recently I took a short break to the south-west of France, flying Bristol to Beziers. The benefit of small airports, apart from cheap flights, is that you’re both on and off very quickly! 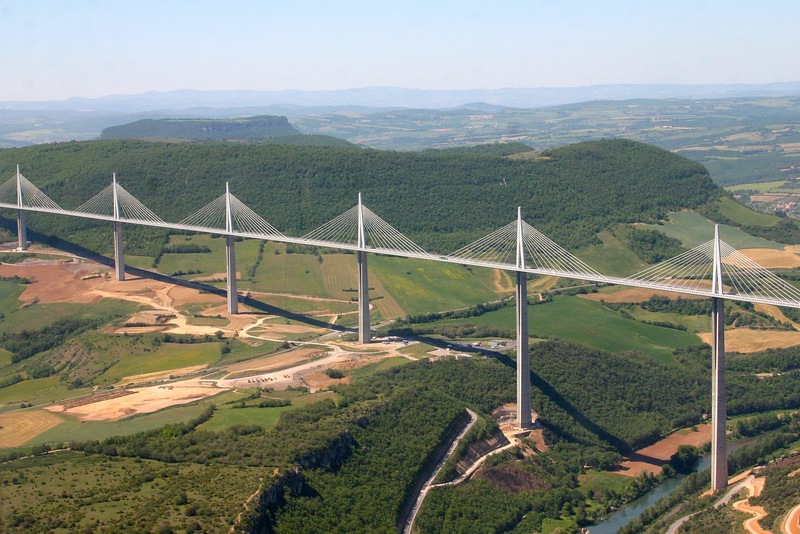 The Millau Viaduct is a cable-stayed road-bridge that spans the valley of the River Tarn near Millau in southern France. Designed by the French bridge engineer Michel Virlogeux, in collaboration with architect Norman Robert Foster, it is the tallest vehicular bridge in the world, with one pier’s summit at 343 metres (1,125 ft) — slightly taller than the Eiffel Tower and only 38 m (125 ft) shorter than the Empire State Building. It was formally dedicated on 14 December 2004 and opened to traffic two days later. 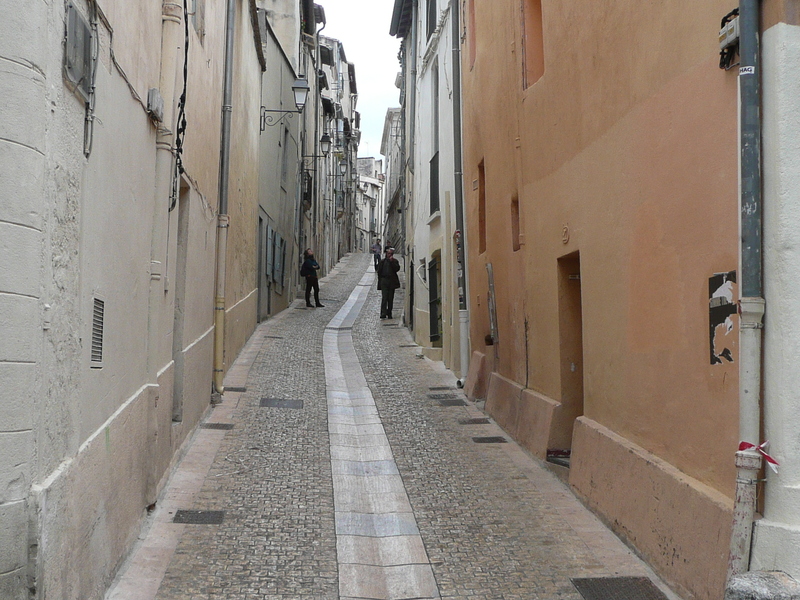 However flying out of Beziers, we glanced down and even then it was pretty hard to miss – incredibly impressive! Montpellier is one of the French people’s three favourite cities for its attractive living and working conditions. 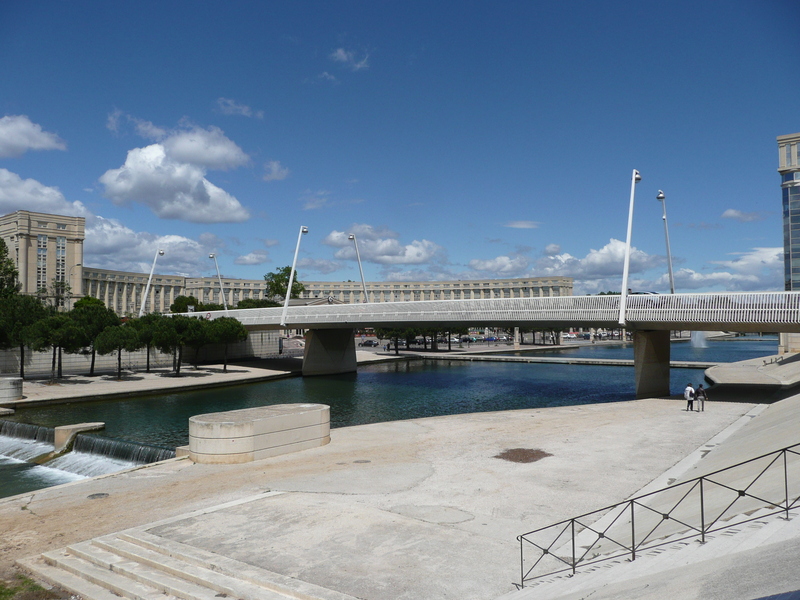 Over the past 20 years, Montpellier has grown to become France’s 8th largest city. 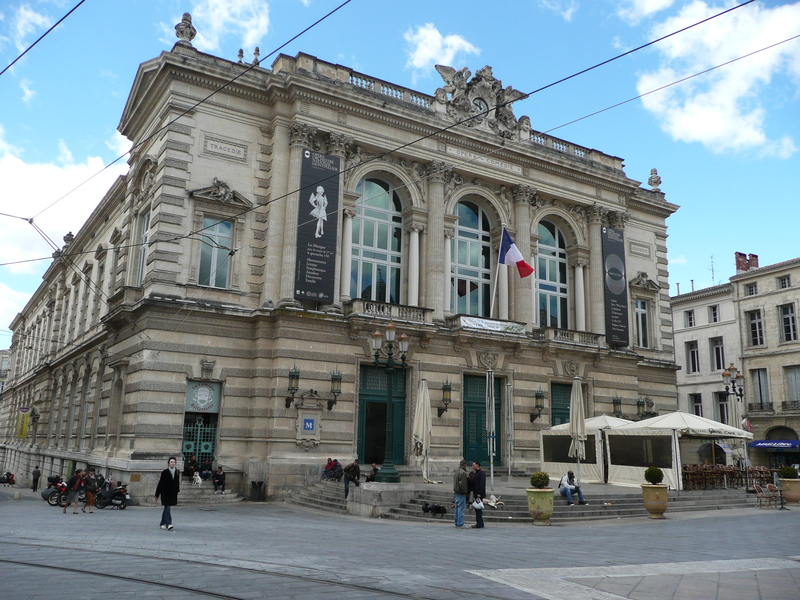 Montpellier is also the city with the highest demographic growth in France, with 43% of the population under 30 years old. 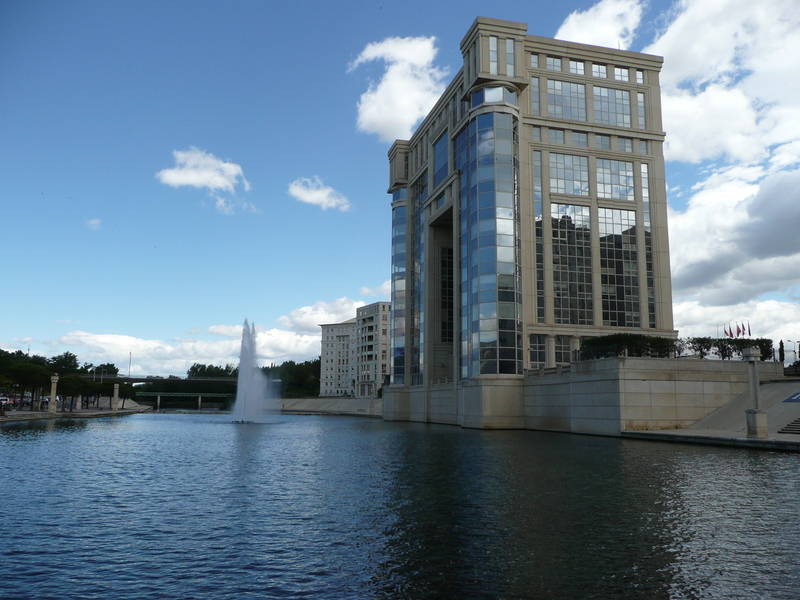 Today, the Montpellier agglomeration area has a population of 420,000. According to Insee forecasts this could grow by an additional 300,000 people by 2030. Quite an unusual mixture of styles. There’s a good tram system so it’s easy to go from one part to the other (there’s quite a distance between them). I’d like to go back there again and explore further as Montpellier really caught my imagination (cheap direct flights are readily available). The 29th Business Show will be held at ExCeL (London Docklands) over 6-7 June 2013. Free tickets are available here. The show will feature seminars/speakers, workshops and speed networking opportunities together with some special events such as the Angels Den and The Boardroom. 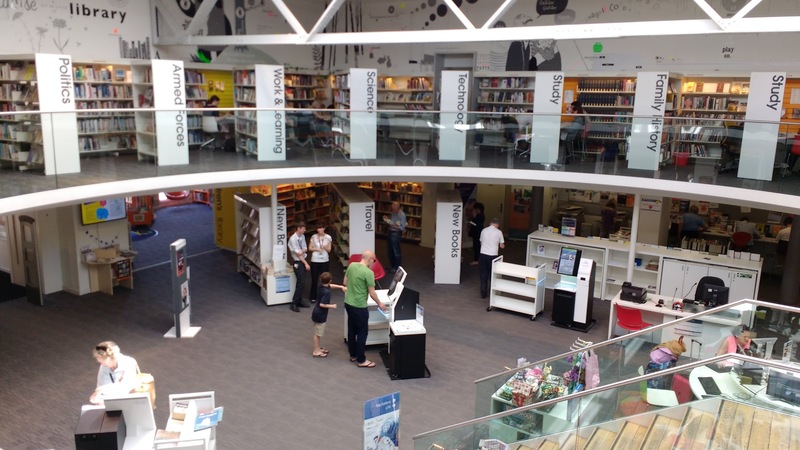 They advertise a very wide range of speakers, including James Caan, Felicity McCarthy (Facebook) and Levi Roots, so it sounds like there should be something for everyone. I went to a previous Show (the 26th, held in November 2010, writeup here) and was quite impressed. In particular, I enjoyed (and felt quite inspired by) the talks of James Caan, who will also be speaking at the coming show, and Penny Power. Can you comprehensively describe your business and intentions in just one minute? It’s harder than it sounds, which is why it must be perfect. Pitch perfect. Don’t waste anyone’s time, including your own. Be genuine, don’t exaggerate or embellish. Follow up! Schedule time in your diary to return calls and catch up with fellow networkers. If you don’t, it’ll be a waste of everyone’s time.